What could possibly be so different about an apparently normal sarong that causes such chaos in Atuk’s household when he can’t find it one morning? 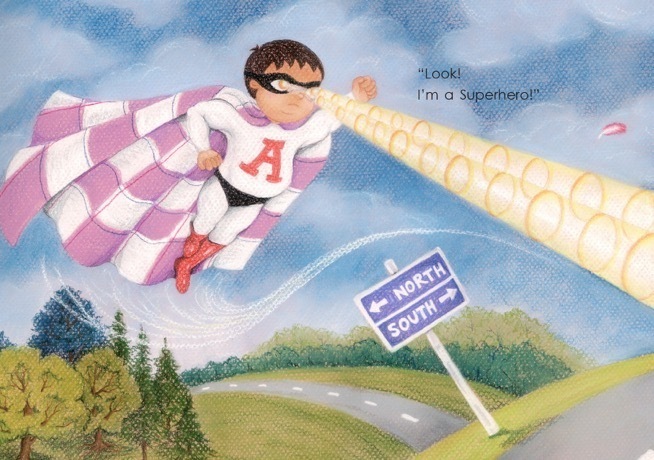 His wife and his two older and thoroughly modern grandchildren don’t know where it is. But where is his youngest grandson Adik? Could he possibly have the sarong? 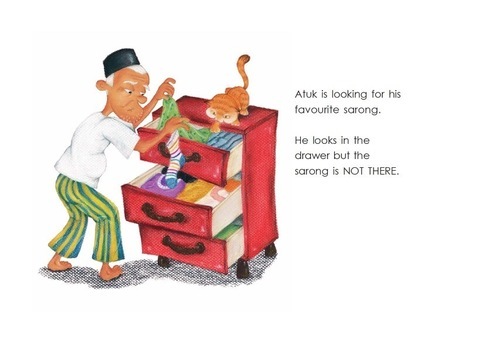 But why would a young boy want with his grandfather’s sarong? Read this highly entertaining story to find out. 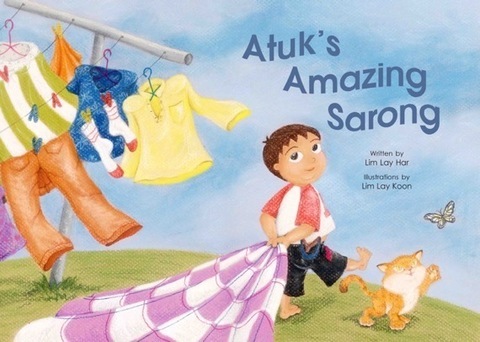 Written and illustrated by the Lim sisters, the very young will enjoy this simple story by Lay Har and the lively and amusing illustrations by Lay Koon.